Volvo is going to be the first among the conventional luxury auto manufacturers to roll out a fleet of pure electric cars by 2021. The Swedish auto giant is gearing up to launch five electric vehicles in international market between 2019 and 2021 and one of them could be a small city car. Rendered by Subam Lee, the small Volvo EV could be a perfect rival against the BMW i3. Volvo wants to stay at the forefront of the electric vehicle revolution that we are about to experience from next decade. The automaker has been working on its electric vehicles for quite some time and it has promised to electrify all its products in next couple of years. Interestingly, Volvo is eyeing the Indian market as one of the major space for the expansion of its electric vehicle business. It has announced to launch its first electric car in the domestic market by 2020 right after the model’s launch in the internal market. As it appears, the brand wants to grab a sizeable share in the Indian EV market considering the government’s dream to introduce all-electric mobility across the country by 2030. Speaking about the rendering, it is a two-door compact hatchback. 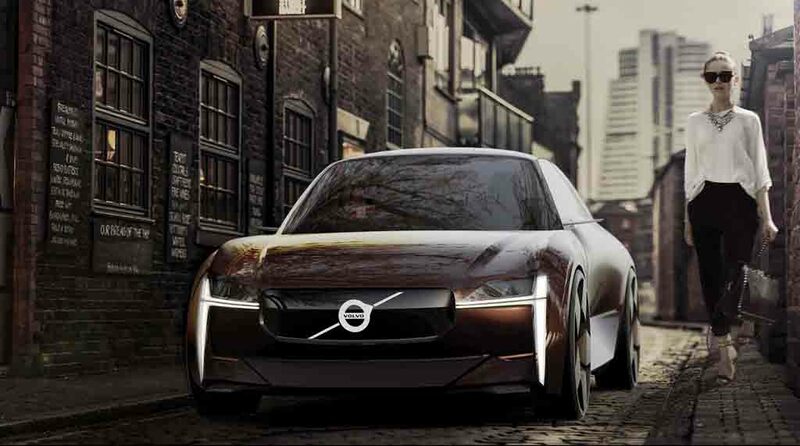 Up front, there are sleek LED headlamps, a large front grille in line with the current crop of Volvo models. Apart from that, it gets a muscular front bumper, sporty alloy wheels and flared fenders. Overall, the car appears pretty sporty looking. Considering the fact that cities are going to boost the electric vehicle sales in next decade, it won’t be too much to say an electric powered small city car would be perfect for Volvo to capture an important slice of the EV market. Being one of the global luxury auto majors, Volvo would surely invest in the project to take on its German competitors.